Publisher’s Weekly named TPP one of the ten best summer reads. And the Southeastern Booksellers Association made TPP an Okra Pick. Like provincial dishes around the world, potlikker is a salvage food. During the antebellum era, slave owners ate the greens and set aside the leftover broth for the enslaved, unaware that the potlikker, not the greens, was nutrient rich. Today, potlikker has taken on new meanings as cooks reclaim and reinterpret the dish. Beginning with the pivotal role of cooks in the civil rights movement, noted authority John T. Edge narrates the region’s journey from a hive of racism to a hotbed of American immigration. In the process, he traces how the food of working class Southerners has become a signature of American cuisine. Restaurants were battlegrounds during the civil rights movement. Access to food and ownership of traditions were key contentions on the long and fitful march toward racial equality. The Potlikker Papers begins in 1955 as black cooks and maids fuelled the Montgomery bus boycott and it concludes in 2015 as a newer South came into focus, enriched by the arrival of immigrants from Mexico, Vietnam, and many points in between. 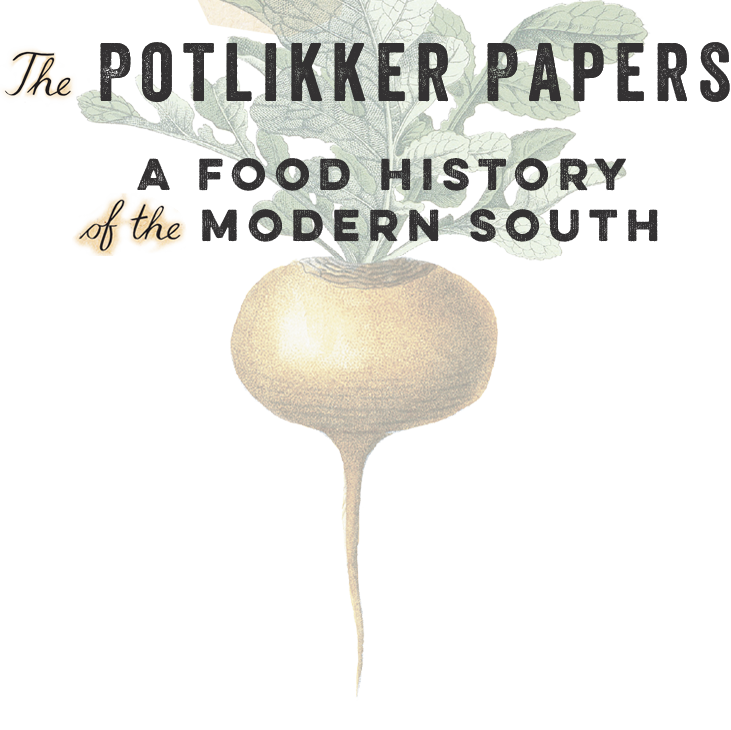 Along the way, The Potlikker Papers tracks the evolution of Southern identity, from the back-to-the-land movement of the 1970s that began in the Tennessee hills to the rise of fast and convenience foods modeled on Southern staples. Edge narrates the gentrification that gained traction in North Carolina and Louisiana restaurants of the 1980s and the artisanal renaissance that reconnected farmers and cooks in the 1990s and 2000s. He profiles compelling Southern figures who played transformative American roles, including Fannie Lou Hamer, Harland Sanders, Edna Lewis, Craig Claiborne, Mahalia Jackson, Nathalie Dupree, Sean Brock, and many others. Wrenching changes transformed the South over the last two generations. During that same span, Southerners transformed America. 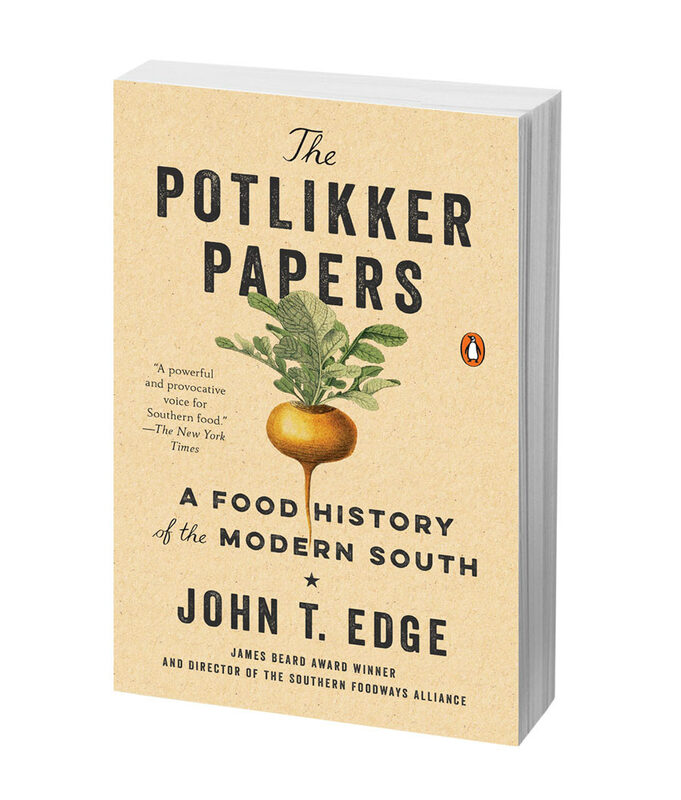 The Potlikker Papers frames and interprets these shifts in beliefs and identities, revealing how Southern food has become a shared culinary language for the nation. John T. Edge, host of the television show TrueSouth and a contributing editor at Garden & Gun and a columnist for the Oxford American, wrote the New York Times’ United Tastes column for three years. In 2012, Edge won the M.F.K. Fisher Distinguished Writing Award from the James Beard Foundation. Published in ten editions of the annual Best Food Writing anthology, he directs the Southern Foodways Alliance at the University of Mississippi and lives in Oxford with his son, Jess, and his wife, Blair Hobbs.